If you are looking for a charming, friendly and clean place to stay at secure and peaceful location that is close to all major attractions, look no further. Our modern and stylish hostel is situated just 4 minutes from city center and famous bar Carpe Diem. Market and restaurant are just 100m away, as well as several beautiful beaches. Hostel is owned by a family that works with tourists for 30 years so we definitely have experience and we will help you with everything. We are very secure and safe hostel and in 30 years we never had any problem with anything. We have huge superior sea view rooms with balcony, cheaper standard rooms without sea view and newly build (2012) mix dorms. Every room has its own private bathroom and air condition. Every dorm has 2 private bathrooms and air condition. We can also put extra bed in superior rooms and the extra person would get a discount. Superior 4 Bed private ensuite is huge apartment with two big rooms, kitchen, air condition, balcony and sea view. It's the best apartment in Villa Zorana. It can be suitable for 6 people also because it's enormous. We have outside kitchen and inside kitchen. Our fully equipped kitchens are free for guests to indulge in some of their own home comforts. 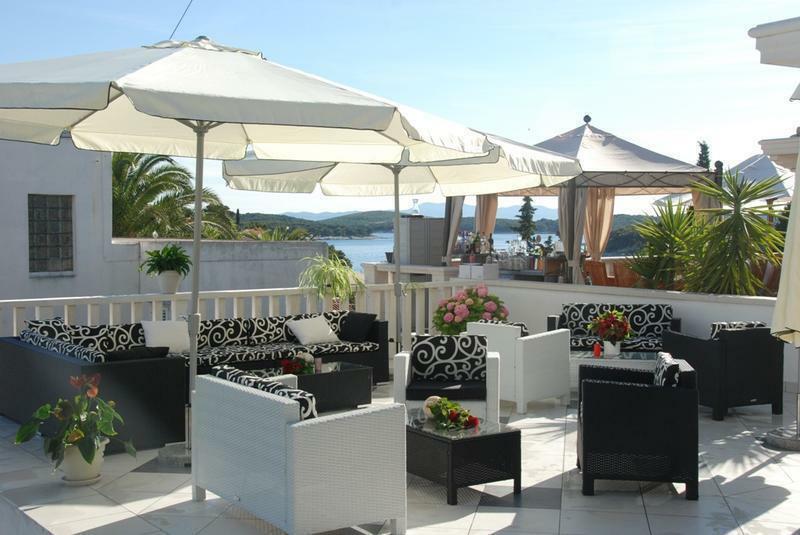 We also have garden lounge area and big lounge area on the terrace with a sea view so you have lot's of space for relaxing, meeting new friends and enjoying in our sun. We offer you the possibility to rent a brand new Italian scooters for a very cheep price and we will teach you how to drive it and explain where to go and what to see. Free map, free internet access and free Wi-Fi for all our guests. We love to pick you and transport you to our villa. 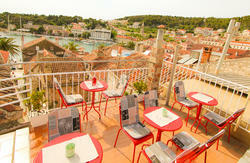 We will provide all information you need to know about Hvar, best restaurants, best beach clubs, bars and etc. We promise that you will have a memorable vacation and pleasant stay in Villa Zorana. Linen, towels and tax are included in the price. From catamaran: Once you exit the catamaran you will make a right and follow the walk along the shore. Once you see a pebble beach that is right next to the Monastery, you will see 8 steps that are leading upwards to the right hand of a restaurant. You will continue to head upwards until you hit the main street Domovinskog rata, where you will see our house at the right side. There is a big sign rent a scooter. That is our house. There is a triangle stop that you will see as well to confirm our location. If you are coming with the car from port of Stari Grad or Sucuraj at then you will need to go left on first big crossroad in Hvar town. Don't go right for the center, go left for the gas station. After 200m is another crossroad. At that crossroad you will see lots of scooters for rent. That is our house. If you need more information about directions or you need a pick up just call us or send us an e-mail. Pick up from Hvar town is free. If you want us to pick you up from harbor in Stari Grad(that is a town 17km from Hvar town) the price is 200kn. Taxi will charge you from 250kn to 350kn. 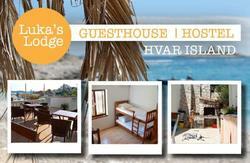 If you want us to pick you up from harbor in Jelsa( a town 30km from Hvar town) the price is 300kn. Taxi will charge you from 400kn to 450kn. Price is for a hole car up to 4 person. IF YOU ARE CHECKING IN AFTER 7:00 PM PLEASE CONTACT THE HOSTEL.